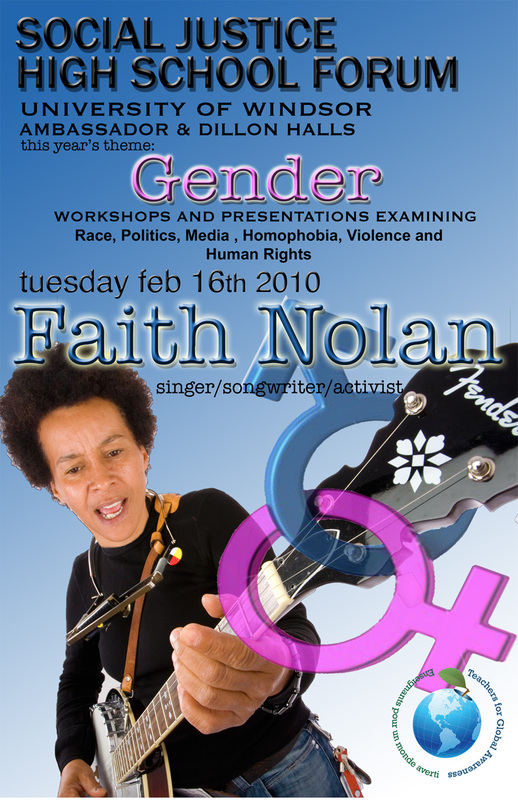 This year’s forum will be kicked off by a one-hour performance by Faith Nolan, a Canadian social activist folk and jazz singer-songwriter of mixed African, Mi’kmaq and Irish heritage. As stated on her website, "her music is her political work, a politics firmly rooted in her being working class, a woman, African Canadian and queer." Faith Nolan is an artist who is also a community builder, she is presently the director of Sing Elemenatry Teacher of Toronto and is in the process of founding a music therapy course for women prisoner in an Ontario jail. She has founded three Toronto based choirs, Sistering Singers, Mandela Children¹s Choir, Voices of Freedom. In the late eighties she founded and directed Kingston Women Prisoners Choir. In 2004 Faith was on the Board of Mayworks, Toronto. She created Joint Effort in 1991. She was a founding member of the Black women¹s Collective 1984 and Our Lives Newspaper 1986, Sisters Café 1991, MWIC in 1983-present, WRPM record distribution in 1995, Camp SIS 1995- present. She was on the Board with Charlie King, Pete Seeger in 1987 of the PMN. 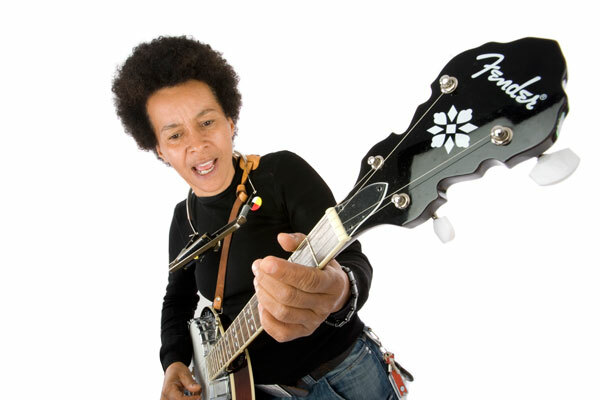 She is a composer and guitarist whose style varies from blues and folk, to jazz, with a taste of funk and reggae, is a seasoned performer who has built a strong and faithful audience. Faith's original compositions, as well as her covers of better known songs, are strongly rooted in the cultural language of Black North American music: spirituals, gospel, jazz and blues. 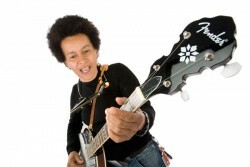 An accomplished musician who plays slide guitar, tambourine, harmonica, and banjo in the earliest blues tradition, Faith also possesses a silky voice that wraps itself around a song. Her lyrics voice a concern for the world of the common people. Music may well be in her blood as her mother was a drummer, her late father was a musician and her sister played in a band. An Afro-Nova Scotian Miq Maq, Irish activist whose songs deal with a range of issue including Afro Canadian History and native heritage, feminism, workers' issue and children's rights, Faith is one of those rare artists who can grab a song and make the message ring out true and clear. Enhancing her musical is the creative allowances that come from being self-taught. Faith Nolan's songs come from a deep commitment to the struggles or people throughout the world. According to Faith, "Music is a powerful tool that can be used for political and cultural expression." It is in a global context that Nolan used this tool to connect the conditions and exploitation of oppressed peoples, in songs such as "The Richest In The World". Hard to Imagine lyrically tells the story of poverty, racism, violence against women, and the need to struggle for better world to live in. Faith has toured and performed across Canada, Caribbean, Europe, Japan, United States and Nigeria. She has played for countless benefits and is active in a range of social issues.